The role of social media has evolved in the B2B financial services industry. Traditional ways of reaching customers have become ineffective as other organizations embrace direct interactions via social. It is no longer possible to ignore the impact of social media because of regulations in the financial sector. 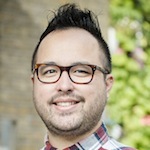 HootSuite’s Rylan Holey, Partners Manager in EMEA, will speak in a panel of social media experts about this critical industry topic. With his role prior to HootSuite, marketing across across B2C and B2B industries, he will share a unique perspective on how the social wave has hit this highly regulated sector. 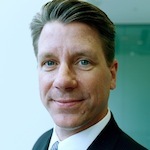 Allan Schoenberg is Executive Director of Corporate Communications for CME Group (@CMEGroup). An American based in London, he also has worked for Accenture, Edelman and Fleishman Hillard. He earned his bachelor’s degree from Central Michigan University in Economics and his master’s degree in Communications Management from Syracuse University. 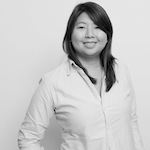 Vivienne Hsu has over ten years of marketing and communications experience. She started her career in advertising at Y&R Canada before moving to London to work at Ogilvy, TBWA and most recently at Grey Worldwide, specialising in digital and social media consulting. Vivienne has experience working across FS clients. These include HSBC, SWIFT, BNY Mellon, Etrali and Allianz. She leads both global and domestic accounts, and is the strategic lead on all digital and social work for Cognito. Interested in B2B Financial Service & Social Media? Register Now! Simply email rsvp.uk@cognitomedia.com.